In Convolution by Wild System, a robot and humans communicate using neural networks to co-create an evolving responsive immersive virtual environment. 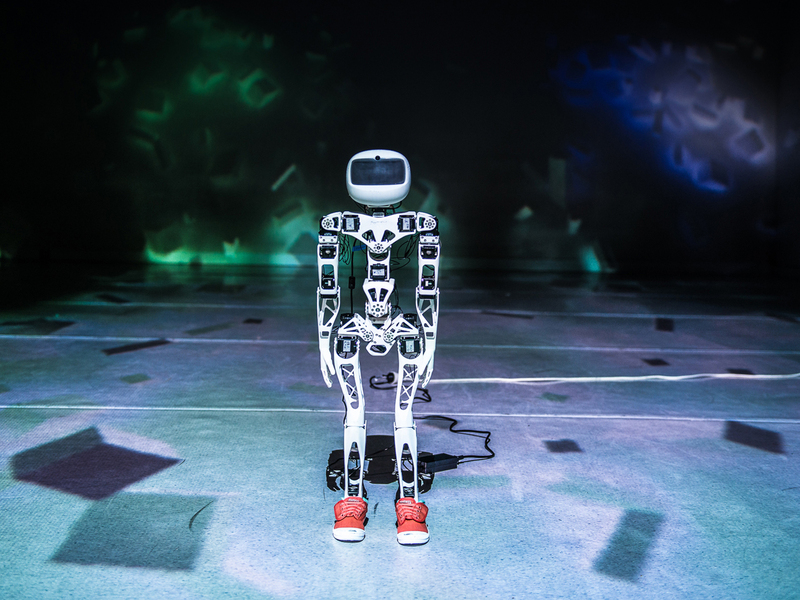 A child-sized robot sits immersed in a full-room projection of an evolving audiovisual virtual environment. The robot ‘talks’ to the virtual environment, telling its impressions and what it would like to see and hear. People come and go, talking with the robot about the virtual environment, and showing it pictures on their phones. The robot learns these impressions and talks of them to the virtual environment, which evolves in response.